Here at ChiIL Mama we're excited for the Illinois bicentennial. Chi, IL isn't just part of my business name, it's home! My two children were born in Chicago as was my father and his 3 sibling, and his parents too. Today, Gov. Bruce Rauner and leaders of the Illinois Bicentennial Commission officially kicked off the state’s yearlong 200th birthday celebration at Fifth Third Bank Winter WonderFest at Navy Pier. 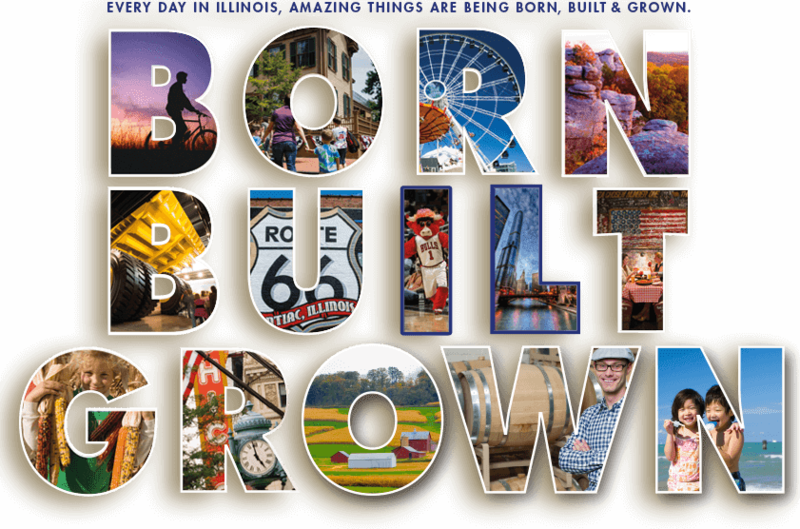 Illinois Bicentennial will pay tribute to the people, places, and things that are being BORN, BUILT & GROWN in the nation’s fifth most populous state. • “Raise the Curtain on Illinois Bicentennial,” where 100 winners of the commission’s 100 Day Countdown Video Contest will share the stage with the governor and the cast of “Hamilton” following this afternoon’s matinee performance. • The Illinois Bicentennial Exhibit will be previewed today at the Abraham Lincoln Presidential Museum and Library in Springfield, with music provided by the Illinois Symphony. • A simultaneous Bicentennial flag-raising takes place at municipalities around the state at noon Monday, Dec. 4, to note the beginning of the state’s 200th year. 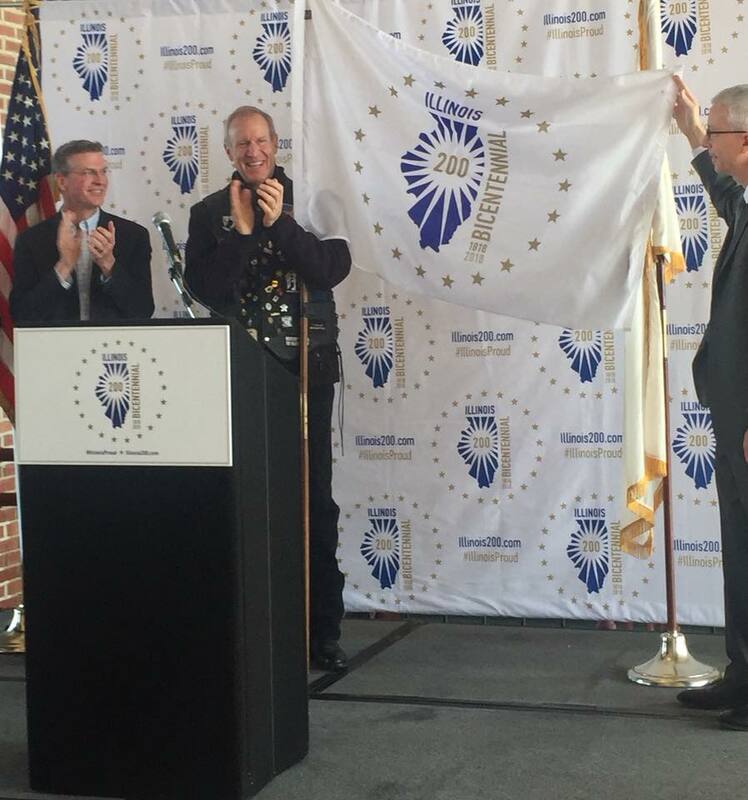 The Illinois Municipal League and United Airlines partnered to provide complimentary flags to counties and municipalities statewide, and the Commission will also host a flag raising ceremony at McCormick Place at noon on Dec. 4. 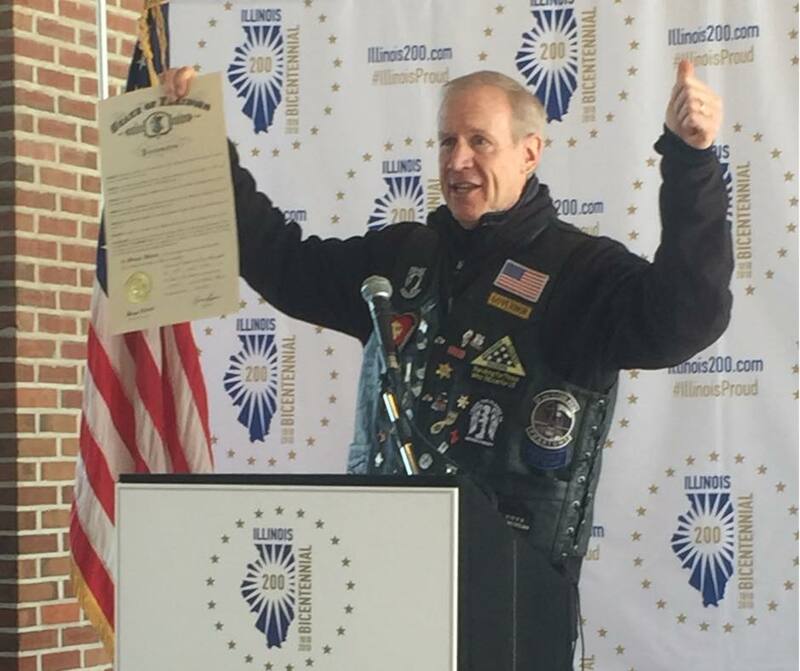 During his kickoff address, the governor encouraged all citizens to participate in the celebration, to visit illinois200.com and to use the hashtag #IllinoisProud on their social media posts. 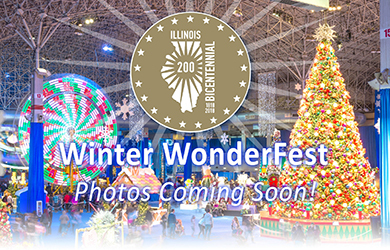 Fifth Third Bank hosted today’s festivities at Navy Pier, where the Bicentennial logo is featured on the Navy Pier Centennial Wheel and on signage throughout Winter WonderFest today. Guests can also purchase merchandise commemorating the state’s milestone and have pictures taken with “Big Lincoln,” near the Illinois Bicentennial and Office of Tourism booths. Also in attendance at today’s press conference were Bicentennial Commission co-chair Randy Dunn, president of Southern Illinois University System; Illinois Municipal League Executive Director Brad Cole; United Airlines Vice President State and Local Government Affairs Dan Lynch; UPS Delivery Driver Don Bence; Navy Pier President and CEO Marilynn Gardner; and Fifth Third Bank Executive Leader of Civic Engagement and Strategic Partnerships Francia Harrington. 200 years ago, on December 3, 1818, Illinois became the 21st state in the Union. Since then, the people of Illinois have banded together to transform this once-barren and uninviting land into a remarkable place of awe-inspiring beauty, accomplishment, and culture. The Illinois Bicentennial is a year-long celebration of what has been BORN. BUILT. GROWN. in the state and an invitation to fall in love with Illinois all over again. Citizens are encouraged to participate in the celebration by visiting www.illinois200.com and using the hashtag #IllinoisProud. Partners and event and project managers planning activities between December 3, 2017 and December 3, 2018 can apply for endorsement to become an official part of Illinois Bicentennial by visiting the PARTICIPATE page at www.Illinois200.com for more information.